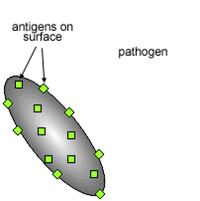 Antigen is any foreign particle that elicits an immune response or that specifically binds to an antibody or a T-cell receptor (often used as a synonym for immunogen). Antibodies or immunoglobulins are glycoproteins consisting of identical heavy chains and 2 identical light chains that recognizes a specific epitope on an antigen and facilitates elimination of that antigen. 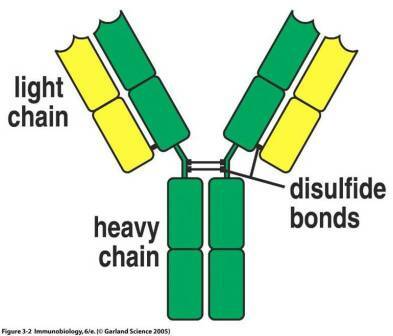 The region of the antigen that interacts with the antibodies is called epitopes.